Baby monitors have certainly come a long way since I had my son nine years ago! Back then I used an audio monitor that frankly didn’t work all that well. I didn’t find much use for it, so I didn’t use a monitor at all for kids #2, #3, and #4. But when kid #5 made her appearance late last year I knew I wanted to give a video monitor a try this time around so I could keep tabs on her while I was occupied with her siblings. 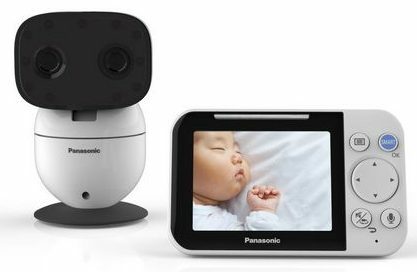 So I was thrilled to try out the new easy to use and secure Panasonic Long-Range Baby Monitor. I’m telling you, if you want a video monitor with all the bells and whistles, this is the one! This product is the first video baby monitor to use DECT technology, providing an independent closed network for up to 1500 feet of secure, interference-free range. Aside from the extra-long range, other features include long battery life, clear night mode, pan/tilt/zoom, 2-way talk, noise reduction, lullaby and white noise and sensors + alerts for motion and room temperature. Powered by Digital Enhanced Cordless Telecommunications (DECT) technology, the video baby monitor extends up to 2x farther than comparable monitors, with interference free up to 1500 feet (more than 4 football fields!). With a long-lasting battery, you’ll have the confidence to get on with household activities while your baby naps. You can use either A/C power or rechargeable batteries to power the monitor without worrying about the battery going dead. Not to mention, battery life is 13 hours in standby mode (audio on) or 5 hours of continuous operation. Clear night vision allows you to easily see details, even in a pitch black environment. Any movements of your baby can be captured remotely from the monitor unit with the pan, tilt and zoom functions – giving you peace of mind. Equipped with a microphone and speaker for 2-way communication, you can talk to your baby by pressing and holding the “TALK” button. Keep your baby happy by talking to him or her while you’re doing chores to feel more confidence because you’re always in touch. 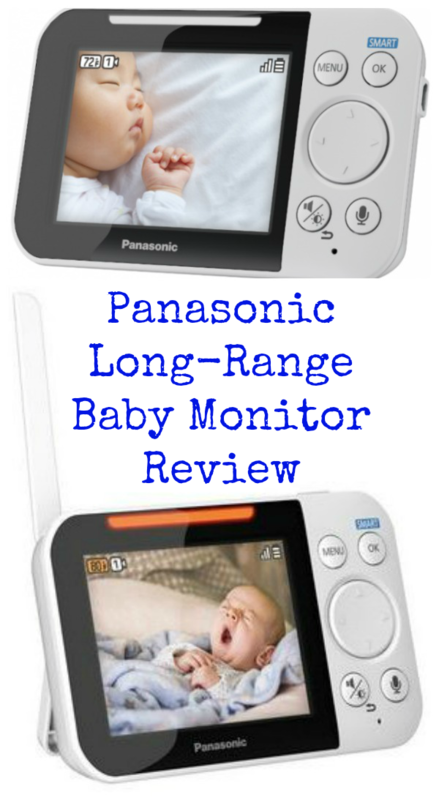 The Panasonic Long-Range Baby Monitor camera minimizes background noise for clear sound. Babbling, gurgling, crying or just breathing softly – whatever sounds your baby makes, you can always hear them clearly. 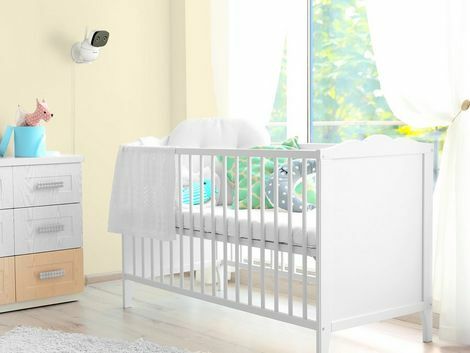 The Panasonic Long-Range Baby Monitor includes smart sensors and alerts that let you choose what’s right for you and your baby, detecting any changes of conditions in your baby’s room. Motion, temperature and sound sensors are incorporated, with automatic notifications whenever action is required. A chime will sound to notify you, an LED will light and a notification will appear on the monitor screen. Gentle, soothing sound helps calm your baby for deeper, more restful sleep. The built-in sound generator creates a natural listening experience that relaxes babies, lulling them into a deeper and more restful sleep. 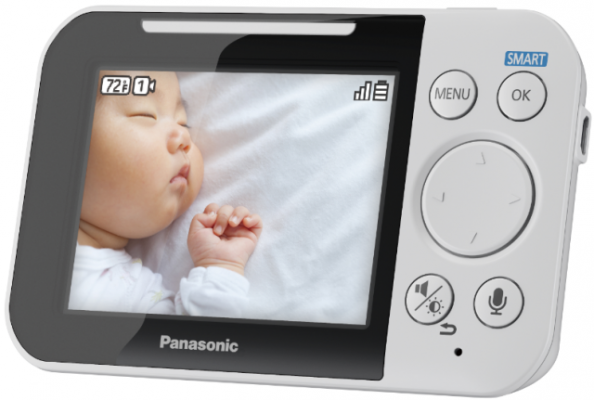 Panasonic’s Baby Monitor has five types of white noise sound, in addition to lullabies. All of the features listed above are really impressive. I found the picture to be very clear and I like that the pan/tilt/zoom function allows you to scan around the room. This could be useful if you wanted to keep tabs on multiple children in the same room. I also really liked the smart sensors for motion, temperature and sound. Sure, you might not want to know every time your baby moves or makes a noise, but if you do want to you have that option. You can either choose to receive a sound notification as well as have it appear on the screen or just have the screen light up with the notification. Probably my favorite feature, as silly as it sounds, is the lullaby / white noise option! Setting up this monitor in my baby’s room meant that we could move the sound machine we’ve been using for her somewhere else and turn it on and off without having to enter the room while she’s sleeping and possibly wake her up. I also really liked the 2-way communication where we can talk to her to help her settle back to sleep if need be, or reassure her that we’re on our way. I tested the range outside while my daughter was napping and found it to be tip-top. We even took a quick stroll around our cul-de-sac and the monitor never lost communication with the receiver. All in all, I really recommend this unit. If I had one “wish” that could be fulfilled it would be that the receiver unit wouldn’t have to be plugged in to work; a backup battery option would be great. Otherwise it’s a little tricky to place the receiver as it needs to be near an outlet, which could be problematic for overnight stays outside of your home (hotels, other people’s homes, etc.). Still, that’s a small complaint in comparison with all of this monitor’s awesome features. 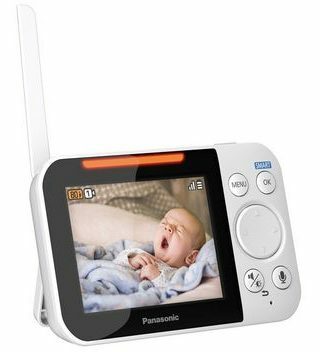 The Panasonic Long-Range Baby Monitor retails for $149.95 and is available to order on Panasonic.com as well as Amazon.com. Please note that it has an estimated ship date of June – July. Now through 5/31/18, use the coupon code P9P3KQZGPQ46 to save $10 when you order directly from Panasonic.com! 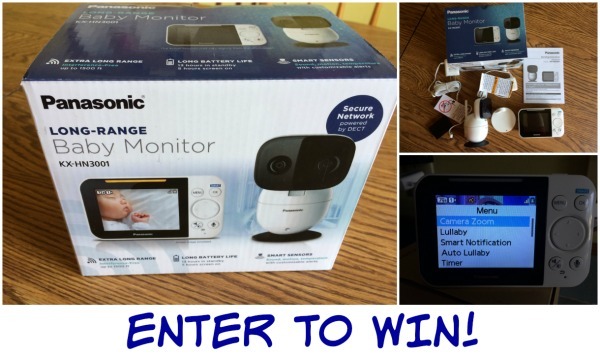 Reader Giveaway: One lucky Chic ‘n Savvy reader will win a Panasonic Long-Range Baby Monitor. 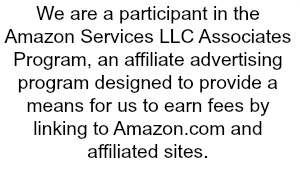 To enter, just complete the entry form below by 11:59 pm ET on 6/4/18. Good luck! The lullaby white noise feature sounds amazing! There seems to be a lot of cool features to this one. I really like the white noise feature. The two way talk is great. I like the 2 way talk feature the best. The noise feature is soothing as well. I like at the monitor allows two-way audio Communication with the child. This would be a nice item to have around. You could use it also for other things if no baby. I like the smart sensors and alerts! This sets it out amongst other monitors! The 2-way communication appeals to me the most. Thanks for the giveaway! There are so many great features it’s difficult to choose just one. If I had to choose a favorite the 2-way talk would be it! The menu looks really simple to use. I really love the two way talk system. I love that it has night vision, my old one doesn’t have that! I live the white noise feature best!! A lot of the these features sound awesome, but the long range and night vision really interest me. i like the feature for lullaby and white noise! I really like the two way communication feature. I love the white noise feature! I love the two way communication! I love that it even has temperature sensor! This monitor is amazing! I like the Customizable Smart Sensors + Alerts Function. I also love the talk to baby feature. This is just an all around too cool baby monitor. I or anyone would love to have it. Thanks for doing this giveaway. Love the smart sensors, would give peace of mind! I really like the lullaby and white noise feature. This is really nice! Love that it also has white noise! I really like the white noise feature! That would come in so handy. I like the smart alerts. I love the feature of having two way radio communication. I love the smart sensors! The night vision is important to me! I like the two-way audio communication. There are so many great features, it is hard to choose just one! But I love the lullaby feature. You can get a sound notification or it can light up. I love the long battery life, that is a must for me! And just simply the fact that it is a video monitor, I didn’t have that with my first and I would love to try it with my second coming soon! I like the infrared night vison! I like the idea of temperature notifications. Think about fires or anything crazy like that. I like that it has 2 way communication! This seems like such an awesome baby monitor! I like the white noise option and the fact that it has 2 way communication. I for sure love the long range but also the white noise, sometimes thats the only sound that will get baby girl asleep. I like the Smart Sensors + Alerts Function. I like the night vision and lullaby features. I love the Lullaby and White Noise option too–that really does help soothe! two way audio, thumbs up! I like the Customizable Smart Sensors + Alerts Function. That way I know whats going on in the baby’s room. I like the long range feature; while baby is napping, I’d love to be able to be outside! I think the Lulliby feature is a great idea. I could definitely use this!! So many great features! I like the extra long range. [2-way talk] enjoy clear sound with noise reduction to suppress background interference, plus camera microphones and speakers in camera and monitor for two-way audio Communication with the child. 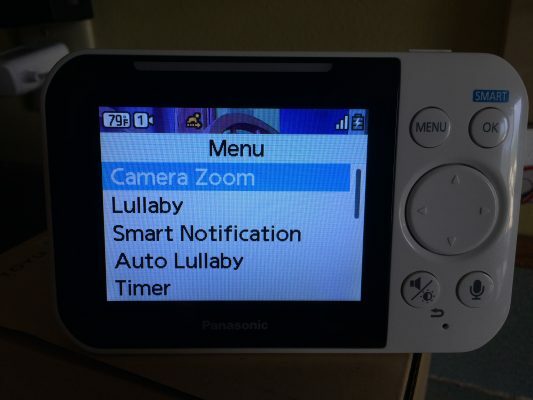 I think this is the best feature of the panasonic long range baby monitor. Thanks for all the information. My favorite feature is the clear sound that the monitor offers. We are going to be first time grand parents in a couple of weeks. It would be awesome to have this monitor so we could watch the baby while he or she sleeps. This has such a clear picture it would be great to own. I like the portable camera- my kids are older, but I still check in on them when they are playing quietly in the bedroom. I want to make sure they aren’t getting into trouble when they think I am busy elsewhere. I love that you can talk to the baby. I like the two way communication feature. Very cool! the two way talk feature sounds awesome. i would love this. I like the two way talk feature the most. Clear Sound Makes it Easy to Hear What’s Going On. I like the Clear Sound feature. I like that its portable so I could use it in different rooms. I love that it has a color picture!! I like the two way talk system. I like the two way communication. This even means it would be useful as an intercom when the baby no longer needs it. I love the smart features and the two way communication. How wonderful for my first grandchild! I love the lullaby and white noise feature. I have separate units right now for both of these items but how great to have just one! I really like the night vision feature. I like the two way audio feature best. I like the large screen, night vision the best.. This is really helpful! The are so man out there that its hard to find a good review! Very helpful! I would say the white noise. I think that the Customizable Smart Sensors + Alerts Function is neat. the night vision is so cool.I think that wouold be an expensive feature to have. The 2-way communication is my favorite feature of this monitor. I like that you can talk to the baby. I like the talk feature. I most like the night vision and smart sensors! My favorite feature is the 2 way communication. Very cool! I like the smart sensors and alerts to detect motion, sounds, and temperature. My favorite feature is the white noise! I love the 2 way communication feature! What a great way to soothe her back to sleep if she starts to become a little wakeful and fussy without being fully awake. I think the Lullaby and White Noise would be a great feature in a baby monitor. Sounds like it would be soothing to a baby. I like that it’s long range because I can get things done inside or outside while they’re napping! I really like how you can customize the smart sensors and alerts It has many options I have never seen on a baby monitor yet! The white noise feature is awesome! I like that it has a sound generator of white noise for sleeping. I love the two way talk system and it looks like it’s very easy to use. I like it’s use of DEC technology.